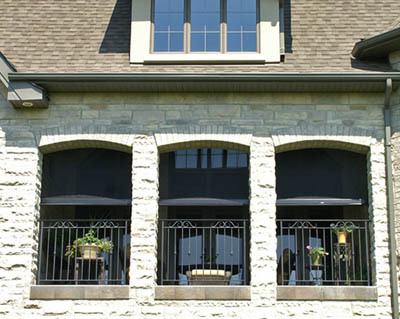 Dreamscreens Motorized Overhead Screens can be recessed to maintain the architectural quality of your home. A perfect solution for creating a retractable bug free outdoor living space that is aesthetically pleasing. 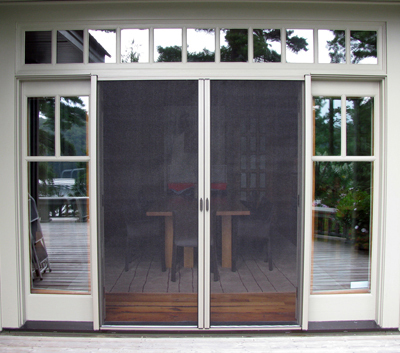 Dreamscreens Retractable Double Screens have been engineered specifically for screening in Double French Doors & Garden Doors, disappearing when not in use to blend in perfectly with the architectural elements of any doorway. Invite the fresh air in with insect free breezes. 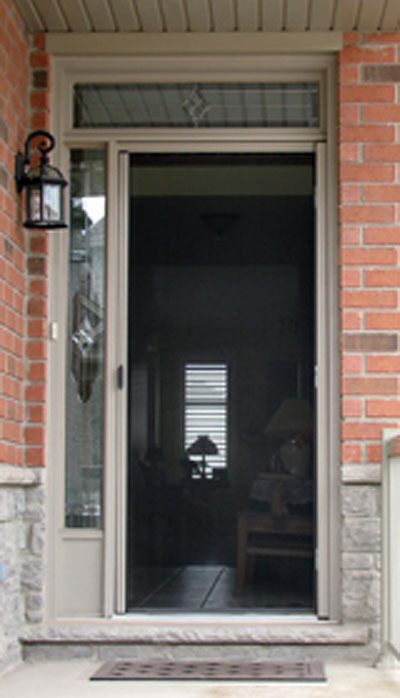 Dreamscreens are perfect for all door types both in-swing and out-swing as well as sliding glass doors. Dreamscreens Motorized Overhead Screens – At the touch of a button create an insect free outdoor living space for you and your family to enjoy. Don`t let the bugs send you indoors! 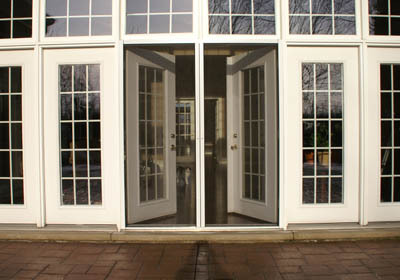 Dreamscreens Overhead Motorized Screens are the perfect solution for bi-folding doors. 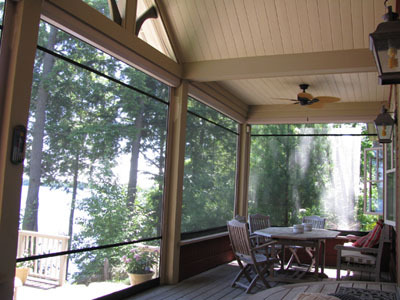 With widths up to 25ft, Dreamscreens allow you to enjoy your view and outdoor space. 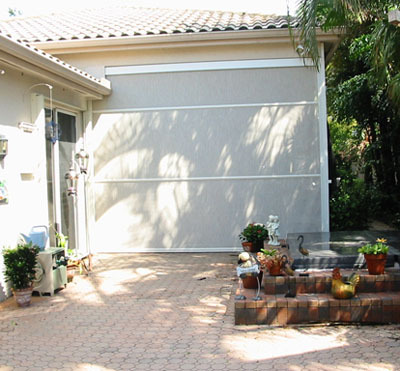 Dreamscreens Retractable Screens can be custom colored for the perfect complement to your Doors maintaining the aesthetics of your home. 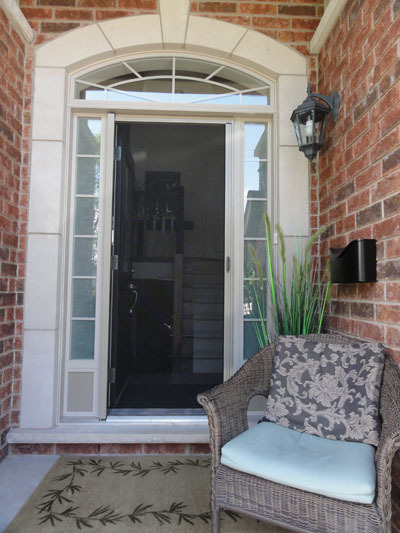 With Dreamscreens four sided construction, our screens can be installed flush inside your door frame, or on the surface of the frame. 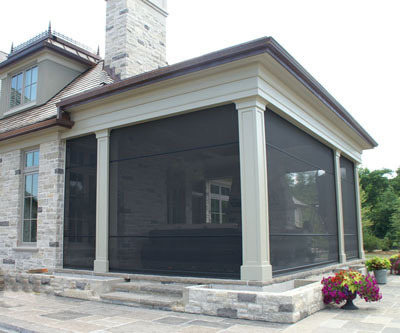 Dreamscreens Motorized Solar Screens provide shade from the sun, privacy with full visibility to see out, and insect protection all at the touch of a button. Dreamscreens Overhead Motorized Screens can be recessed to preserve the beautiful design of archways, engineered to screen in all shapes and sizes of outdoor living areas. 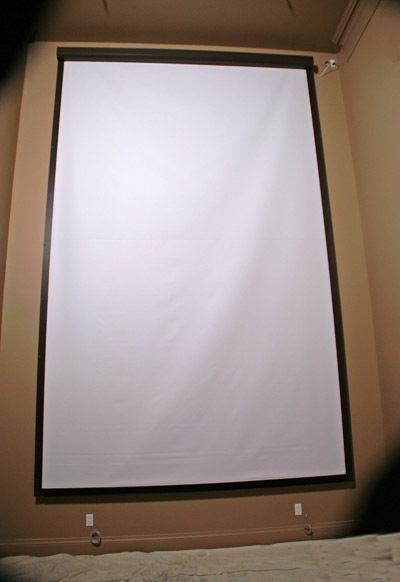 Dreamscreens Motorized Systems are can me made using black out material, placed over a window they can be used as a projector screen. 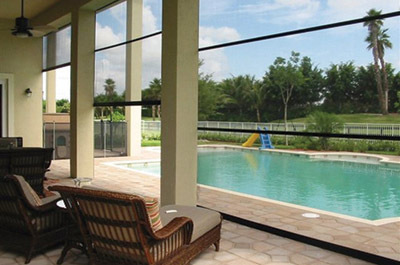 Dreamscreens Overhead Motorized Screens patented windbar technology makes our screens almost indestructible. Keep the insects out with the push of a button and enjoy! Dreamscreens Overhead retractable screens can be coated in a 22 different wood grain finishes to blend in flawlessly with your design. These Large Pull Down Screens require no electricty!